The dangers of using your cell phone while driving are well documented, but it is a habit that is terribly hard to break. Laws in the UK and Canada are stricter than they are in the US – in fact, the new rules in England, Scotland, and Wales just got downright impossible to ignore. 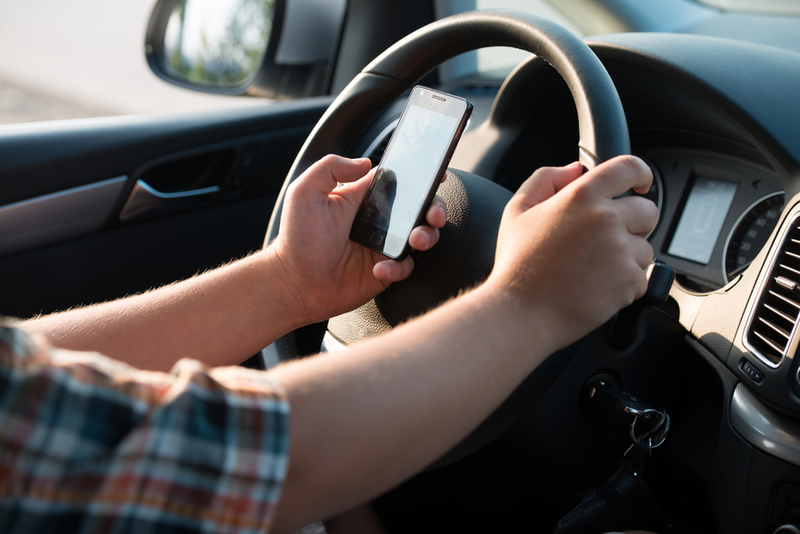 As of March 1, if a new driver, considered with two-years or less driving experience gets caught using his cell phone when driving they will lose their license. Anytime you get six points or more after having you license for less than two years, the driver must retake their practical and theory driving tests. Drivers with over two years’ experience can be banned if they get 12 points in three years. Previously, a driver caught using their phone only received 3 points, and a £100 fine and the new law doubles those amounts. Texting, or using your smartphone in general, takes your mind away from what you are doing – Toronto even tried to ban texting when crossing the street because of the accidents it can cause. If it can distract you while walking, imagine how it can be a nuisance when driving a two-ton hunk of metal down the road. Their latest statistics show that in 2015, 22 people were killed and 99 seriously injured in accidents because a driver was using their phone. Their laws have specific things you can and cannot do while driving with a cellphone. There is no use of a handheld even if you are at a stop light and even if it is mounted in a holder. There are no watching videos of any sort, although you can listen to music if it is mounted and you are using a Bluetooth connection. You can use the navigation features are long as it is mounted – however, if an officer deems that it was impairing your driving, then the police can still cite you. You can only use you phone in your hands if you are parked or if you need to call 999 or 112 in an emergency and you are unable to stop. The laws are changing because there are just too many penalties being handed out – just during the week from January 23 to January 29, when the police were targeting drivers using their cell phones, the Department of Transportation cited 3,600 drivers. Transport Secretary Chris Grayling said, "Doubling penalties will act as a strong deterrent to motorists tempted to pick up their phone while driving and will also mean repeat offenders could find themselves banned from our roads if they are caught twice." While it seems like a minor act using your cell phone, it can change a person’s life forever.